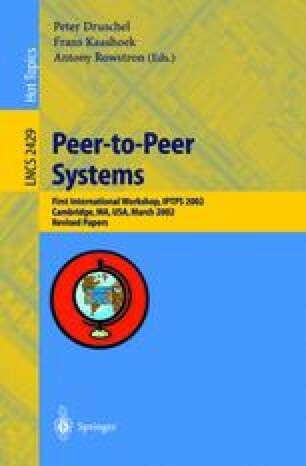 Peer-to-peer systems are positioned to take advantage of gains in network bandwidth, storage capacity, and computational resources to provide long-term durable storage infrastructures. In this paper, we quantitatively compare building a distributed storage infrastructure that is self-repairing and resilient to faults using either a replicated system or an erasure-resilient system. We show that systems employing erasure codes have mean time to failures many orders of magnitude higher than replicated systems with similar storage and bandwidth requirements. More importantly, erasure-resilient systems use an order of magnitude less bandwidth and storage to provide similar system durability as replicated systems. Data is periodically repaired to replace lost redundancy in both replicated and erasure encoded systems.